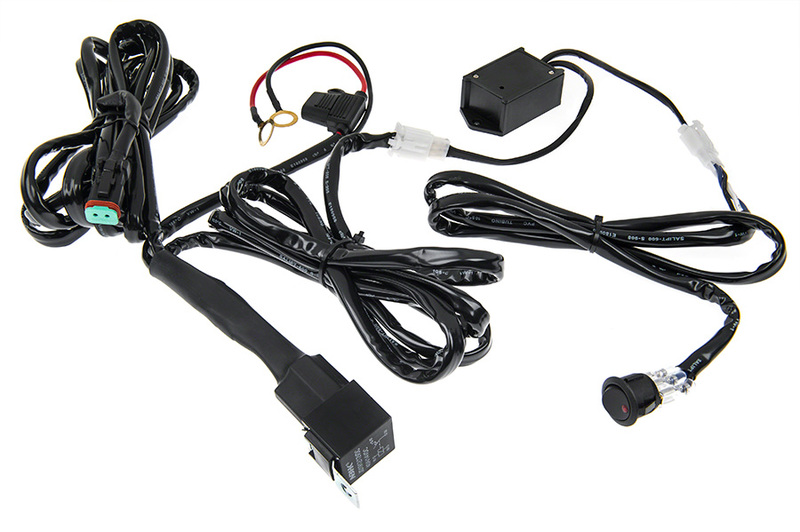 Wireless Remote Control Switch with Key Fob for Wire Harnesses: Shown Installed On Jeep And Controlling Daytime Running Lights. 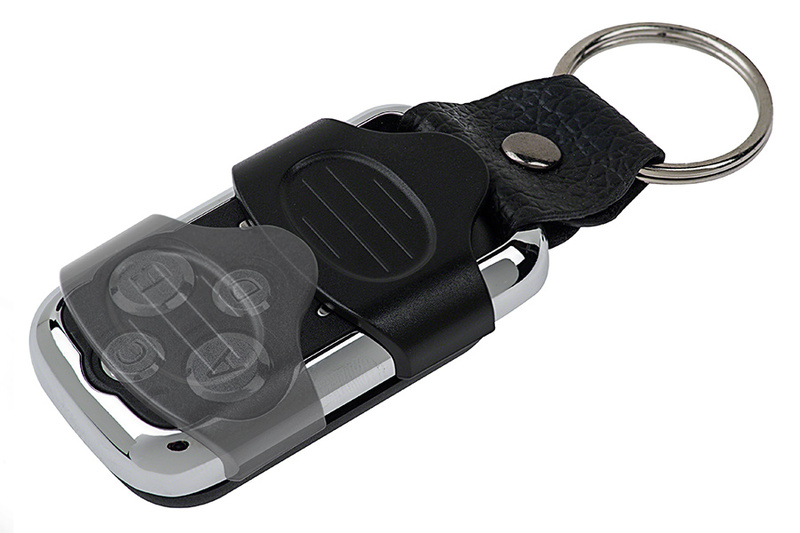 Wireless Remote Control Switch with Key Fob: Showing Sliding Cover. 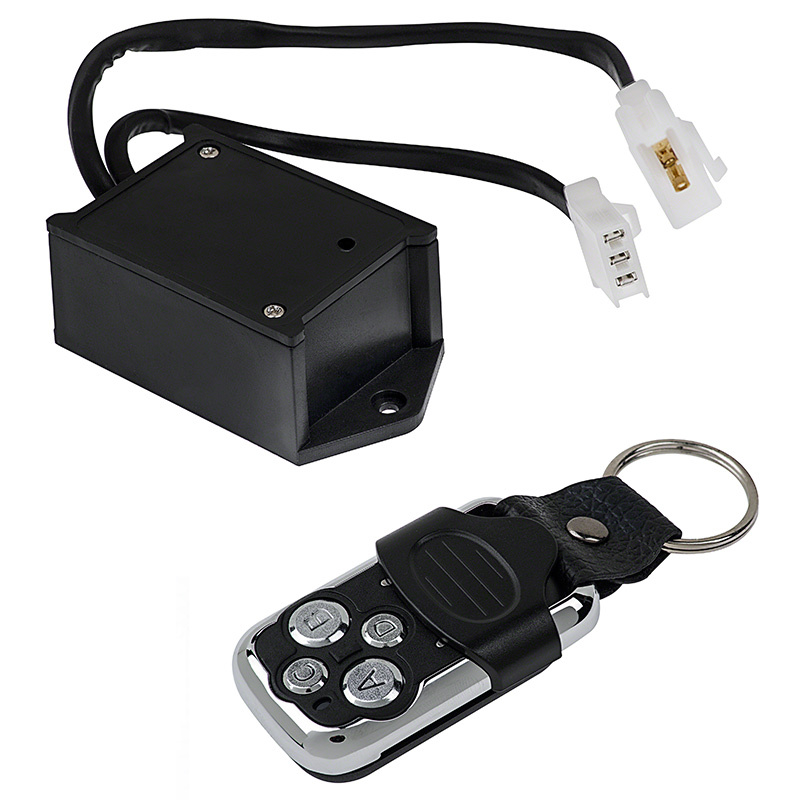 Wireless Remote Control Switch with Key Fob for Wire Harnesses: Showing Wiring Harness (WH-DTS10) Connection Detail. 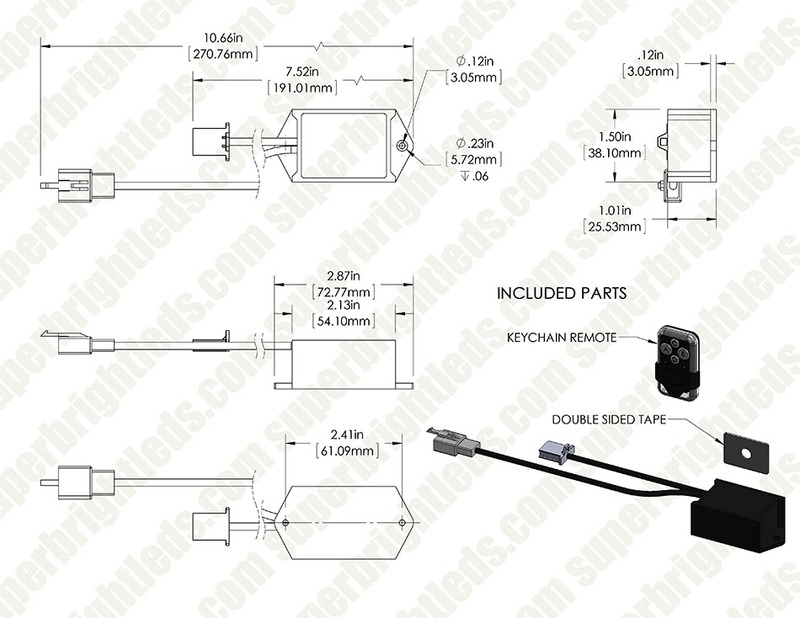 Wireless Remote Control System for 12VDC LED products. 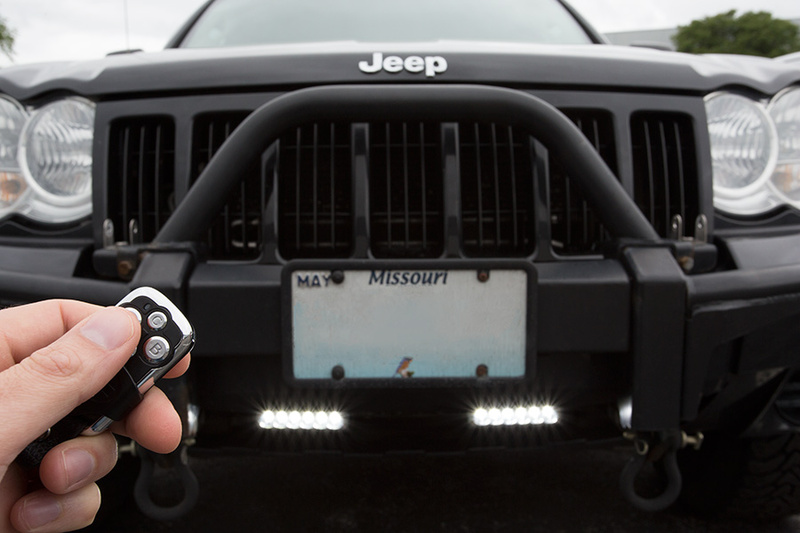 Control your LED light strip, LED light bar, off road LED light bar or LED work light wirelessly with just a touch of a button. Features 11 strobing modes. 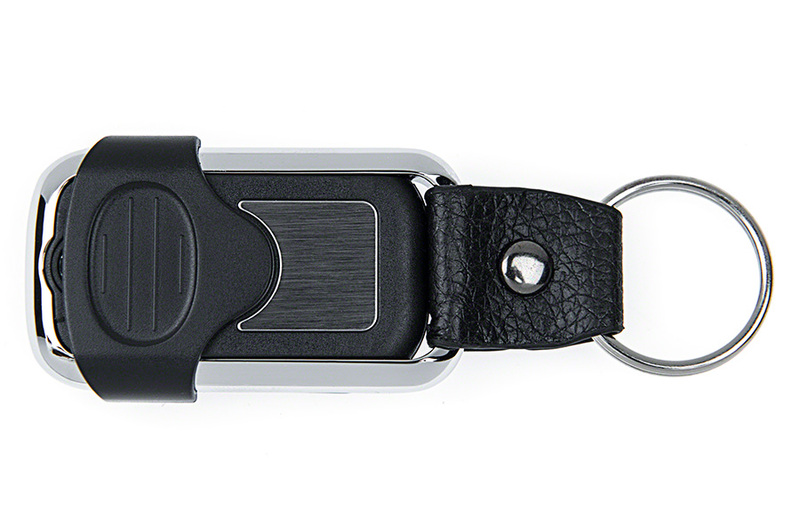 Includes brushed aluminum key fob. 1.35A total maximum load, 100ft (30m) remote signal range. For use with our wiring harness. 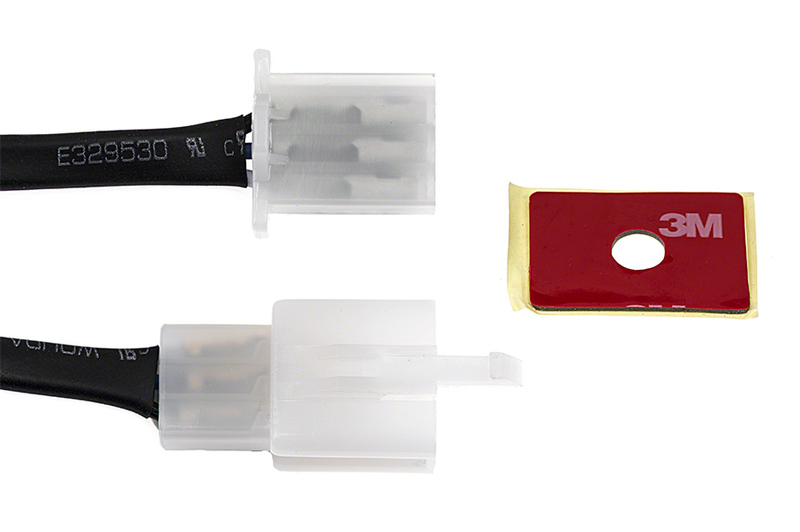 Unplug supplied switch from the harness by pressing on the locking tab and releasing the two halves of the connector. Plug RCS-RF in between switch and harness, being sure to note the orientation of the locking tab. Make sure both halves of connector are fully seated and locked together. Complete wiring installation of the light you wish to use. Press the pairing on top of the RCS-RF receiver and release. The light will flash twice. Press any button on the remote within five seconds, the light will flash three times indicating the pairing is complete. To erase the pairing from memory simply press and hold the programming button on the RCS-RF until the light flashes five times. 1) Remote fob is also well made but wished two fobs were included instead of one. 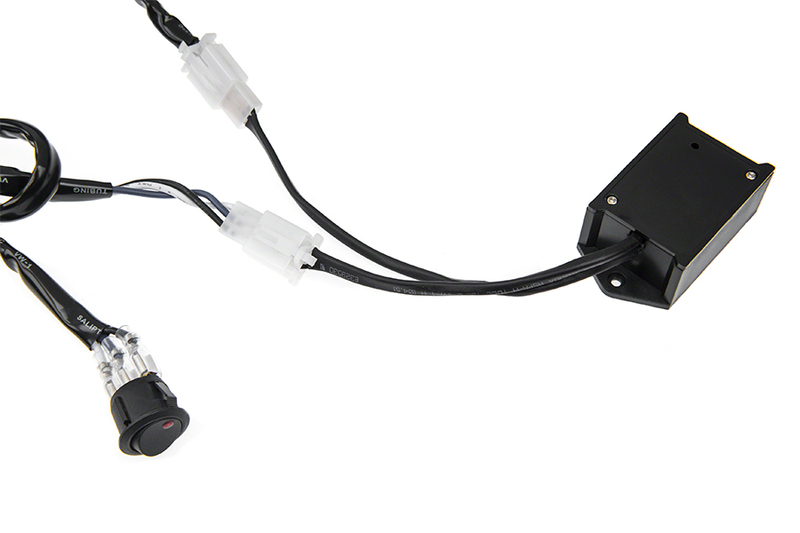 2) Using this remote remote switch to operate LED light bars in front of an SUV. Receiver was mounted high in engine bay just in front of firewall. Keyfob was fixed onto the console inside cabin. Lights would turn on easily but turning them off was often problematic, requiring multiple presses, changing car's location to less intrusive surroundings, or having to get out of the car with the fob. The firewall, hood, etc prevent the RF signal from reaching the receiver. Fix: remove the cover of the receiver by taking out the two small philips screws. There is an antenna cable coiled inside the receiver box. Uncoil the wire, straighten it, and bring it outside of the receiver.box You can bring it out at the same exit site as the two wires by expanding the slit on one side of the plastic just a little. Replace the receiver back into the engine bay. Now you can turn off the lights without any issues. Good on/off response. Need o buy the harness separately. Used I switch on/of DRL light. I love this item. I use it when hunting and its awesome to turn the light on to find my UTV in the pitch-dark woods. It is very hard to get a wire through the firewall on my truck, this switch made it so easy to have a switch for my light bar and not have to worry about the wires. 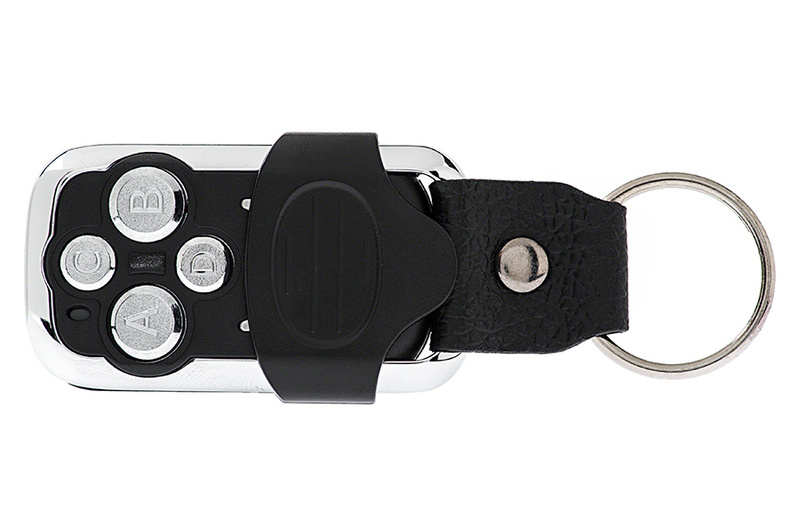 Very easy to activate the key fob, and works great.